On April 25, 2018, representatives of non-governmental organizations from the Republic of Serbia gathered in the coalition "PrEUgovor" visited the Embassy. 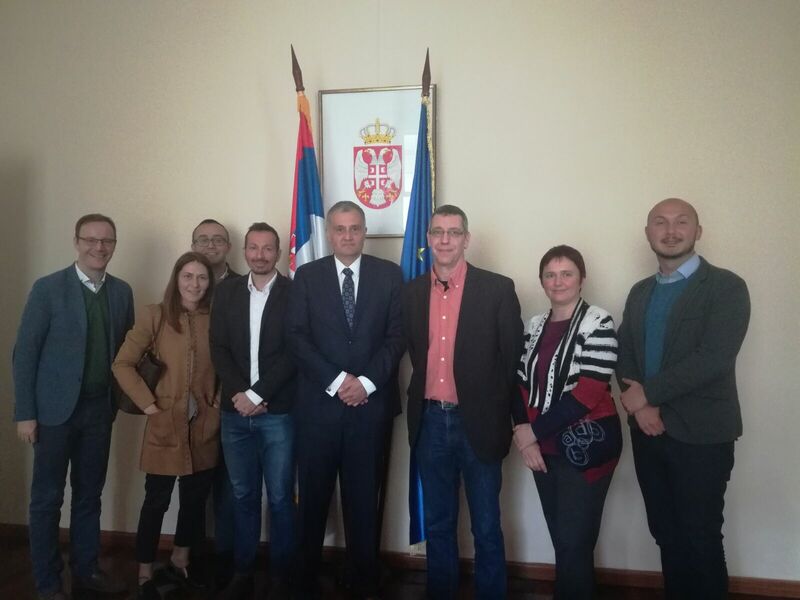 "PrEUgovor" monitors the progress of the Republic of Serbia in the areas covered by negotiation chapters 23 and 24 and their representatives had a meeting with Ambassador Petar Vico on that occasion. Representatives of "PrEUgovor" were in a study visit to Belgium and the Netherlands, which was organized by the Embassy of the Netherlands in Belgrade through the MATRA program.